That's what I've done for now. What do you think? Lol, is that ASHWALL2 I see being used as a sky texture in the first screen? Awesome. Anyway, good contrast so far; nice use of absolute dark (I'm guessing) sectors as well. Is that PIPEWAL2 or a missing sidedef in the centre-right of the your second screenshot? EDIT: here's a little update on mine. I've managed to keep it to three textures, and I don't think I'll go over. Honestly, it could probably be done with only one, if I didn't mind spending half my time faffing about with coloured lighting and brightness levels. Here it is! With co-op and even deathmatch starts. Wow, I can tell you had fun with this. Some really neat ideas at play. I died to the surprise-chaingunners on the first attempt, but I definitely like it so far. Lots of fun little hints, and creative solutions. I look forward to getting into it more later. 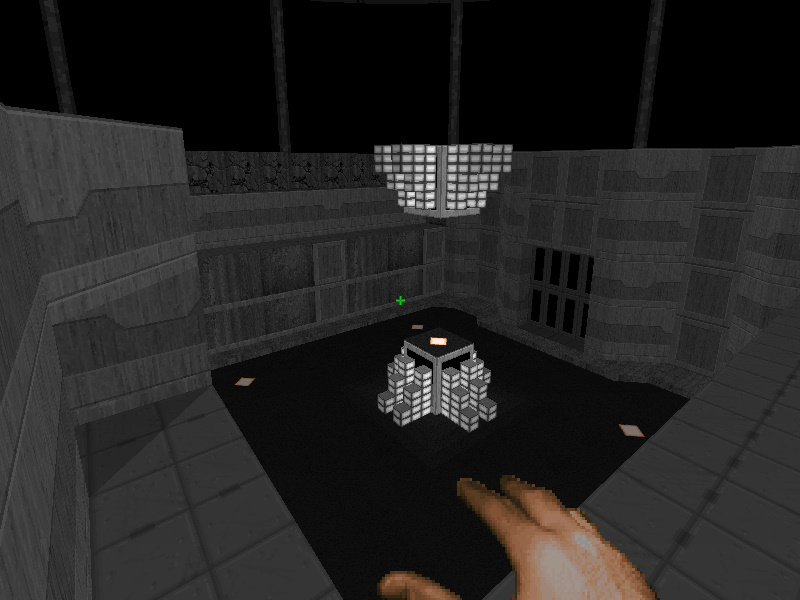 Although I'm pretty attached to the idea of mostly-monochrome maps (I've cheated, myself on 'lava' and teleporter pads), you're definitely working in the spirit of the project that I keep referring to. I'm looking forward to seeing what others think. This is very much a group project, so while I have my own ideas of what a map for this project should look like, I'd be very interested in hearing what the consensus is. P.S. The ASHWAL2 'waterfall' is great. I've ended up ignoring switches, used something more practical, that fits more for the monochrome environment. I'm about to finish the map, will upload it with pictures soon. I think i've finished the map. 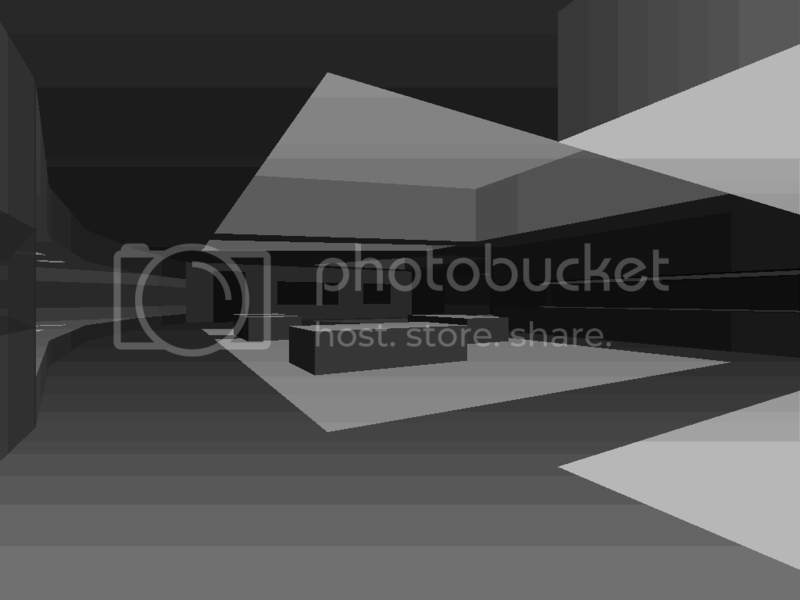 It's fully monochrome, i've only used the two basic textures. I've included MIDI if necessary. Just finished mine, as well. Only uses two textures. You guys may find the sky... chuckle-worthy. It's a roughly ten-minute romp with full difficulty settings. 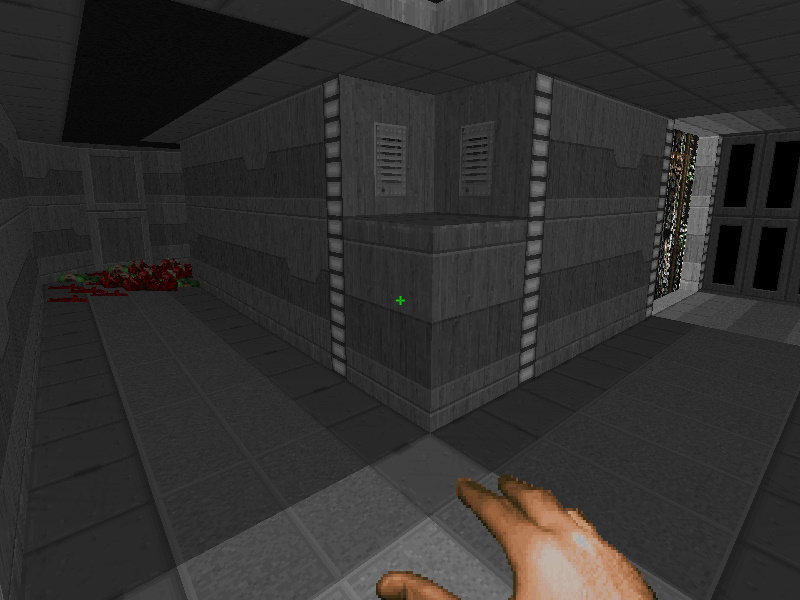 There's no music, and the map runs in Zdoom under Map01. Enjoy! 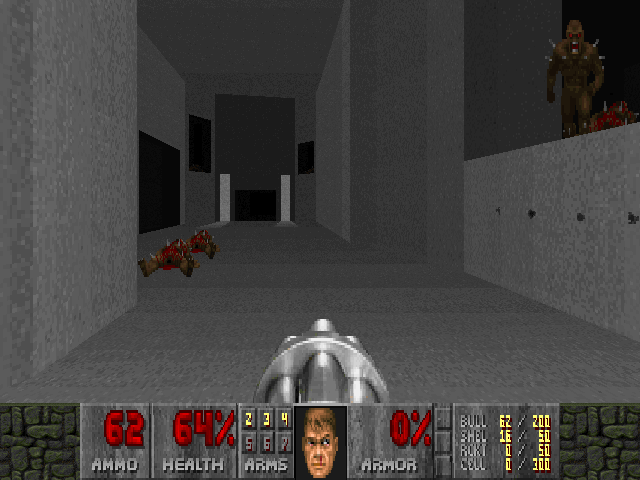 PS - The name, Coagulation, is in reference to the way the map stops up flow over the course of play and forces the player into tighter spaces over time. Wow, those are both really entertaining, and fully monochrome to boot. These are definitely the gold standard to beat now. Double post: I updated the OP to reflect the newest entries. Please tell me if I've left anything out. Just went through it. In my opinion, the best thing in it was the huge "playground". I like when i have a lot of space to fight, but still can't find my spot to stand still. The environment was impressive, too. Thanks for the review. Now that I've had a good night's rest, I went through the other two entries. Firstly, Scypek2's map. It's pretty fun, and definitely feels like a unique map. It's not quite in the realm of being a concept map, which, under the constraints of this project, is a very good thing. Ammo and health balance was fairly tight, and the fights were fairly fun. (That archie elevator was a cruel trap, though!) I could see this map being altered to fit the two-texture rule without much trouble, though it wouldn't feel quite as much like a mountain. 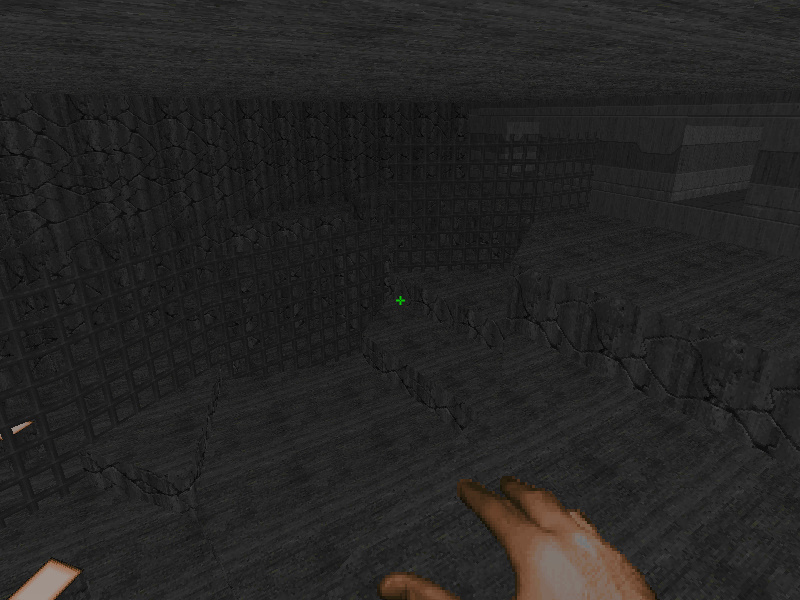 The winding rooms made the map feel a lot bigger than it was, but I never really got lost. One item of note is that I managed to exit the level without killing the two bosses. Don't know if that's intended or not. And now, FractalXX's entry. The first thing I noticed about this one was how confined it felt. That really gave this map a very particular feel. The rooms were never too tight to fight in, but I always had a slight inkling of claustrophobia. It's definitely full of atmosphere and neat detailing tricks. The interplay of the two textures and the varying light levels ensured that each area was distinct and memorable, and figuring out the mechanisms wasn't too difficult. (The buttons, notably, were nicely done.) I really enjoyed the fights in here, though I will say that the map could have even been a bit more difficult without being unfair. Regardless, it's very fun and never gets dull. fractalxx: your map seem pooped out from Which (which is good, if you don't know it, search it on youtube to understand what i mean), good map (pressure plates! i loved it!). Membrain: just, gasp, i wish i could play on my level like you do. it took me a while to figure out that that altars was a swicth (i am not a clever person), but after all, the map was gorgeous. 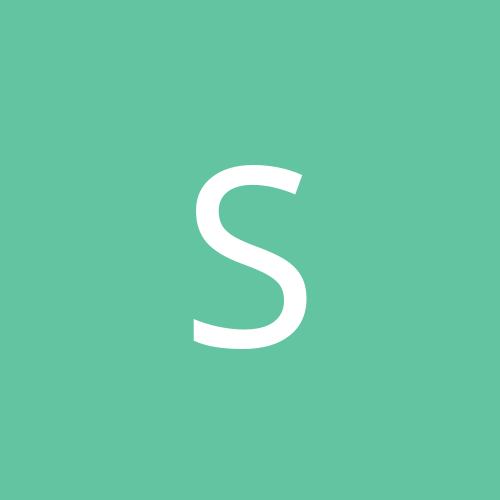 scypek2: is always a pleasure play one of your maps, they are always full of creative ideas and fun to play. since i always play on HMP, i didn't find any issue on health-ammo balance on these three. I really believe, that this project will be quite successful. The result of my experiment. 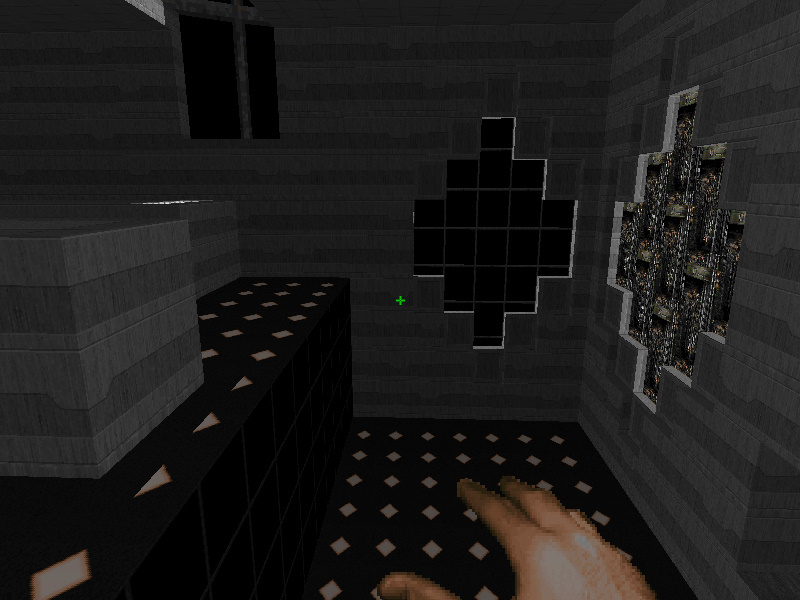 I call it "Contrast" and it will be an empty (=0, maybe 1 monster) and horroristic level. On the latest shot, the TEKWALL and the BLACKWAL textures are scrolling. Katamori: That looks great. It's interesting to see a different take on the project, with a focus on contrasts more than minimalist texture use (although still somewhat minimal when compared to an ordinary map). I really dig that first screenshot. I'd love to see a map in that style completed, regardless of what constraints it's under. Looks great! Do you have any particular deadline? No deadline unless we decide to bundle these all together. Right now it's just an ongoing project. Feel free to keep us up-to-date with your progress, along with any inspirations or ideas you've had (teaser screenshots don't hurt, either). It shouldn't be hard with this community, but I'd like us to continue fostering a very collaborative and supportive atmosphere in this thread. Katamori:(although still somewhat minimal when compared to an ordinary map). You die when you try to go there =) this is what I want to suggest, just like around ther teleporters on MAP07 of katamori 1024. Well, I'm not sure if this will fit into the project since I'm using my own textures. But I'll try to search-and-replace everything if absolutely necessary. I'd say that works. More people might play a standard textures version, but I've got nothing against admitting a wad that uses custom textures. Is it called 'greyroom' as per your .png? It would be appropriate, I guess. I haven't picked a better name yet. @Katamori & Da Werecat: Any progress on your maps? I've been itching to do a third entry for the project, but I wanted to see a bit more of what could potentially be in there. Membrain: in the interests of keeping this project moving, here's a VERY 'wip' upload of my wad ('WhiteRoom,' to be renamed). It's currently pretty boring, uses switch sidedefs in some places (to be replaced), but it should give you an idea of a different direction. I've made blatant use of coloured lighting in certain areas, so it isn't a true monochrome map like yours and FractalXX's. But once it's finished it will be using only two sidedefs. I've never tried UDMF before, so i don't know much about it. But it looks decent, and fun to play. This is what I'm currently working on. I'm having major fun playing with lots of dynamic lights here. I've got a little idea for a map for this, but I'll need some resources: anyone know where I can get some completely black and white wall and floor textures? There aren't any in the stock textures and I don't really know where to look.